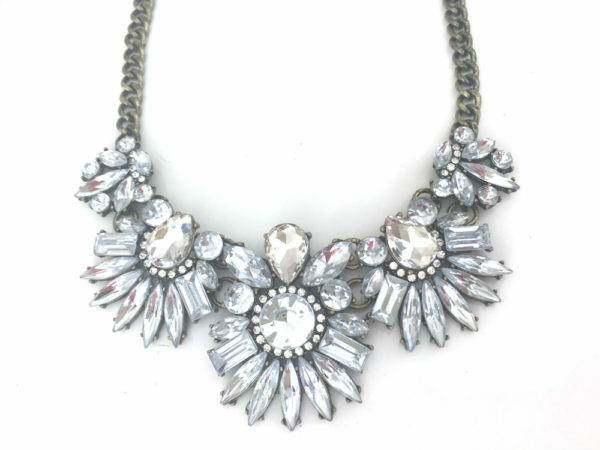 Tags: collar, rhinestone necklace, statement necklace. Our gorgeous Floria Statement Collar is the quintessential statement necklace. 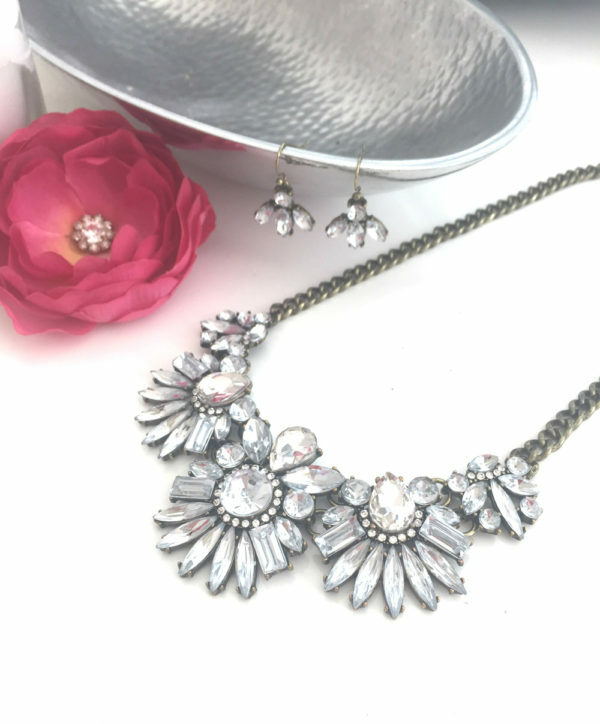 The clear rhinestone floral motif is both feminine and classic, making this pretty piece the perfect accessory to add some sparkle to any outfit. 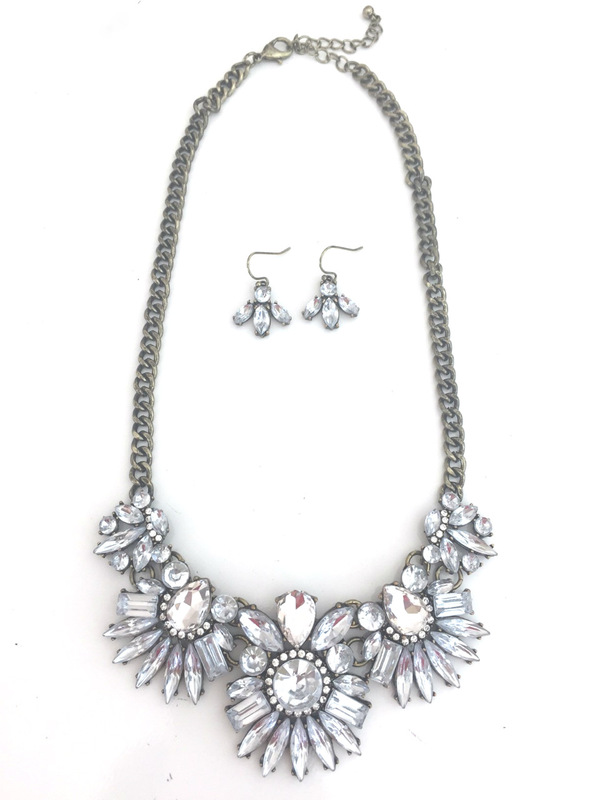 Includes coordinating rhinestone dangle earrings.